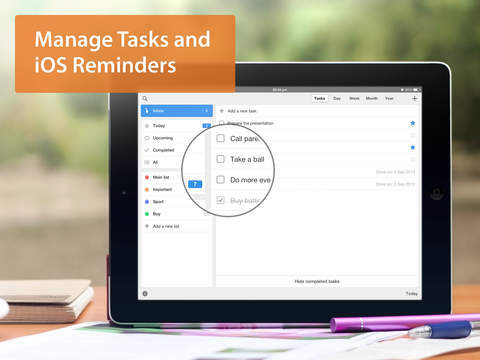 This week’s pick is Calendars 5 – Event and Task Manager with Google Calendar Sync by Readdle. 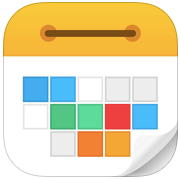 Calendars 5 has been the measuring stick for iOS calendar apps since its introduction. It’s so powerful and easy to use, it just might be what the iPad should have shipped with as the default calendar app. More than just a calendar app, it also supports and excels at tasks and events, making it an invaluable productivity tool. With its natural language input, entering tasks and calendar events are as easy as speaking what’s on your mind. The iPad’s larger screen size is the prefect display to manage all your scheduling needs by making it easier to focus on what’s important. 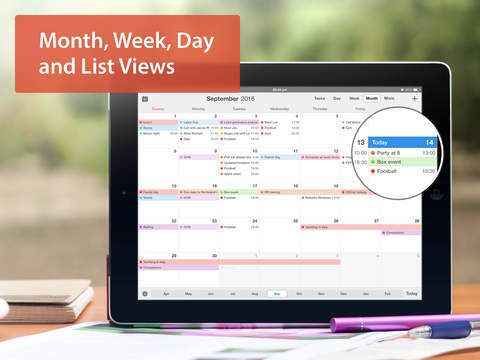 The multiple calendar views provide a quick overview of day week and monthly views, as well as a split view listing of all your events. There is a perfect view for whatever suits your needs.